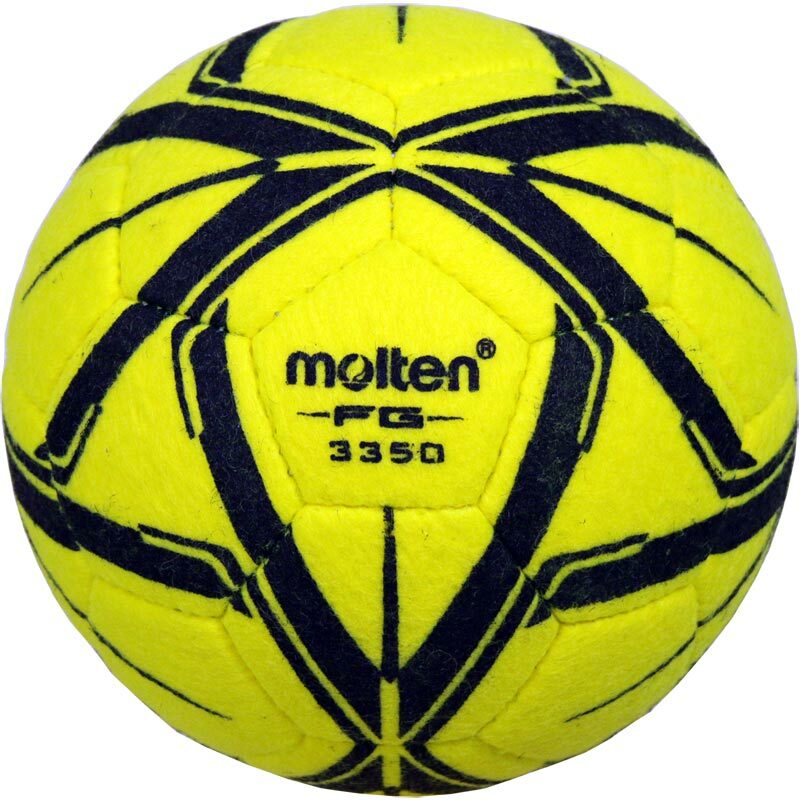 The Molten ® Indoor Football is a great indoor football from the increasingly popular Molten footballs range. we have been playing indoor football for over 20 years and still cannot beat a old falling apart Mitre super indoor league ball. However, this ball is pretty close. It is massively better than the mitre cyclone sold everywhere. It has a soft touch, is quite light, and seems small for a size4. These points could be considered either good or bad if u want something that is heavier with no bounce then don't go for this. Only real negative is that it is not perfectly round as other people have stated. We have only used 3time so this may sort itself. Our 5 a side team has been using the Molten football for the past few years, and would recommend it as one of the best all round indoors balls around. The quality is spot on being hand-stitched, but the felt covering does wear over time with performance dropping away - probably good for around a year, which is pretty good value at less than the cost of a single game. Very pleased with the quality of this ball, have used it a few times so far indoors and it has taken a bit of a pounding. Ball hasn't deteriorated at all, needs the occasional pump up but it is still in perfect shape. Expecting it to last 6 months at least but looking good so far. Exactly the quality you'd expect from a ball for that price and seems like one of the best indoor footballs on the market at the moment. Worth it! Have used the ball for the last three weeks and been very impressed, much better quality football that previous mitre balls used. Excellent ball. Have used it for the past six weekly five-a-side games. The people I play with like it, apart from one who thinks it's too hard to control. I blame his feet rather than the ball. So far, no signs of wear and tear to note. Needs slightly pumping up each week but that's not unusual. Very pleased. Overall this is a very good quality ball, hence the higher than average price when compared to other indoor balls on the market. Initial use is good, however it does require re-inflating every 2 weeks and it seems to have lost a bit of its shape. It still looks like new even after 6 weeks of use, I would look to purchase another one of these again in the future. I got this ball for a new indoor footy club, as well as a cheap one for a tenner to compare. The Molten is infinitely better. Bounces nicely and is sweet to put your foot through. Only issue is that it needs topping up with air every week, but that's to be expected after it gets pounded against a wall repeatedly for an hour. Much better than the other balls we have used. Has kept its shape so far. Goalkeepers think it is a bit too hard. Previously we have had an adidas and mitre cyclone indoor football, the mitre has been of poor quality, the molten has been in use for three weeks now and everyone agrees that it is a far superior ball to the previous makes. Highly recommend this product. Good ball overall... a little on the bouncy and light side of 5 a side balls but they all seem to be like that now. Generally good quality. Now that Mitre seem to have retired the Super League Indoor ball and made the Cyclone much lighter, this is probably as good as you'll get - especially if you prefer the 'hex' panels. OK so far. Had to re-inflate already after 3 games, too early to comment on how it lasts. Bought this ball as alternative to the very poor quality Mitre 'Cyclone' which only lasted 8 hrs of play before the outler layer had completely worn away. So far after 4 hours of play no signs of wear, so looking good (4 stars as not sure how long it'll remain in good condition). Remains to be seen if it'll last a whole indoor season like the old mitre 'super match' used to. Be aware the size 4 is right at the small end of the size range. As ever - great service from Newitts. A great ball. Keeps its shape, stays round and last a long time. Great service from Newitts and the Molten ball is a big improvement on the Mitre indoor footballs which have really deteriorated in quality recently and become quite ragged after only a few games. Quality ball. It has the look and feel of a traditional indoor ball. Great service from newits, ball arrived within three days. Will definitely buy another! 5 out of 5 Excellent indoor ball. great ball, worth the extra money compared to cheaper alternatives. Would buy again. Don't know what else to write to fill 20 words ? 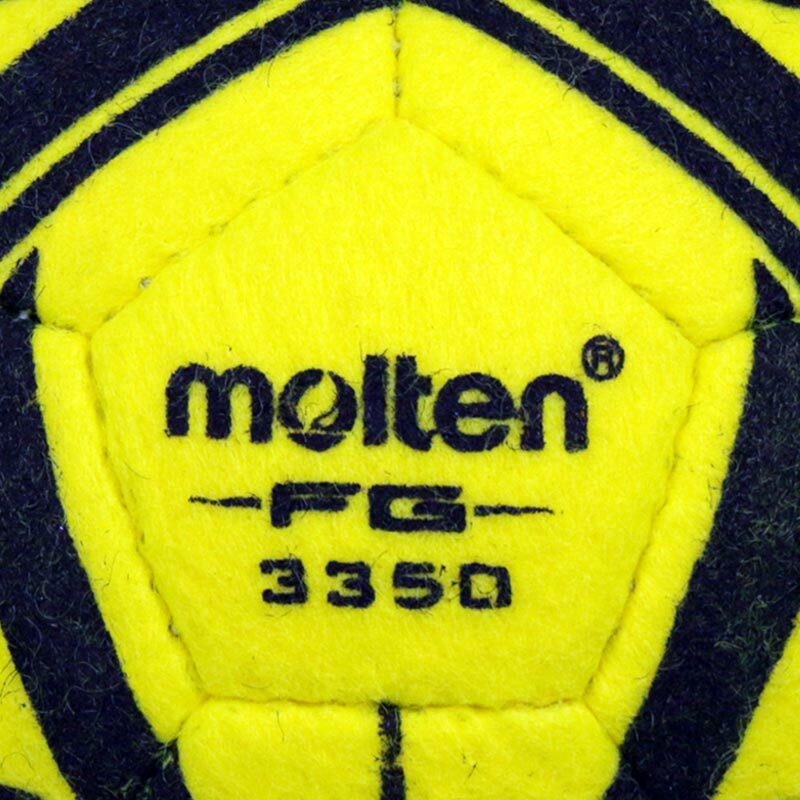 I've always bought the Mitre Indoor League balls before but they are no longer available so tried the Molten. I'm very pleased with the feel and control of this ball. It's a bit more expensive than the Mitre but excellent quality at a reasonable price. It takes a little getting used to, the ball is certainly more bouncy and springy than the Mitre Indoor football that we used to use. It is less forgiving and requires a better first touch than other footballs. It seems to be wearing well. We have tried a number of mitre, adidas and other indoor balls and this is the best we have used. It has the right weight and response for 5 aside. 4 out of 5 Well worth the money! One of the best indoor footballs we have used. So far so good, as it's only been a couple of months sice we purchased, not sure if I can say any more. Size: 5. Favourite with all the players, young and old. Plays well, nice to strike and doesn't feel like saving a cannon-ball when you're in goal.